Sometimes, getting angry when you’re driving is inevitable. We’ve all been there. And we, as Brits, are the worst for road rage. Road rage is dangerous, and it can come with fatal consequences. So how do you stop it? How do you become calmer on the road? 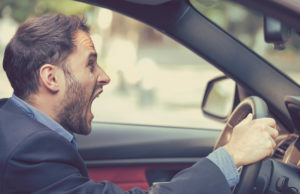 In this article, we are going to look at some of the ways you can stay calmer on the road and reduce your road rage.